to a mall to buy her a gift as his mom wanted him to give her a gift once engagement date is fixed. They leave. Sarla scolds Srishti for dropping tea on Prithvi’s hand. Srishti says in her mind that she hates Prithvi. It would be something if Karan or Rishabh had become her jija. She hopes it really happens. Both brothers are in a showroom with Sherlyn. Karan tells Rishabh he didn’t want to be here, he doesn’t know anything about shopping. Rishabh says he needs his expert advice. He at least knows latest trends, what girls like, etc. Karan says he will help but in return he has to promise that he won’t scold him in front of Preeta. Rishabh teases him. Karan was leaving. Rishabh says he was just joking. Prithvi and Preeta also come to same place. Preeta hesitates to go inside as it’s an expensive shop. Prithvi says their marriage matters most to him. He can at least spend few lakhs for his wife. This is just a small gift. For their marriage, they will do a lot of shopping. He asks Preeta to choose her dress. She goes in. He says in his mind, he will give what Preeta she deserves later, but for now, he is more interested in Rishabh’s crore of rupees. For that, he can spend small amounts. Precap: Karan challenges Prithvi that he will break his and Preeta’s alliance. 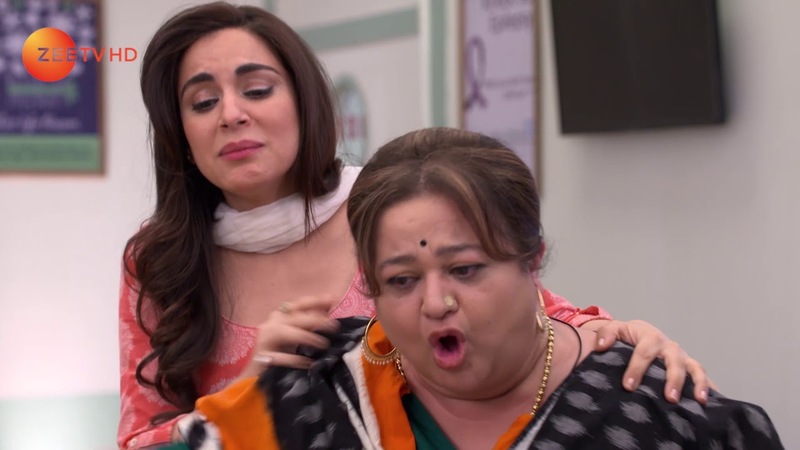 Kumkum and Kundali Bhagya actors win awards at 2018 Zee Rishtey Awards. See list of winners!